In stock and ready for Free Next Day Delivery! 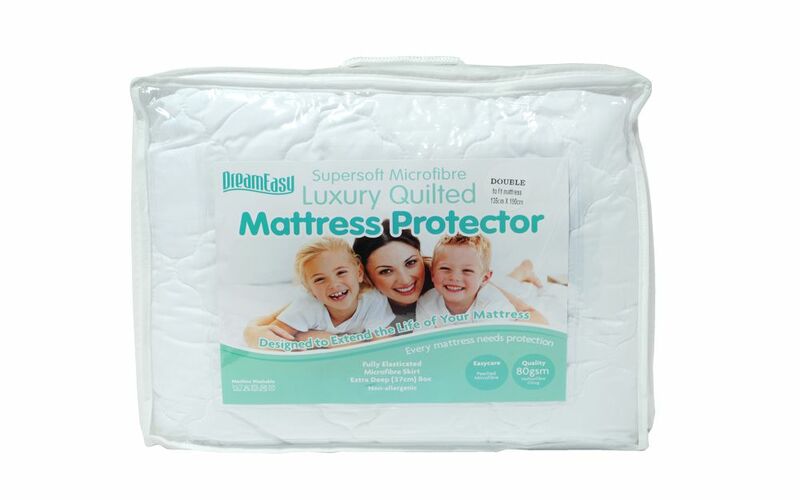 The Dreameasy Luxury Quilted Microfibre Mattress Protector is a hypoallergenic microfibre and hollowfibre mattress protector. It's designed to prolong the life of your mattress whilst keeping it clean and fresh. Highly resistant to dust, dirt and allergens, this protector features an attractive quilted pattern, hollowfibre padding and soft-touch sleeping surface. It fits mattresses up to 37cm deep and features an elasticated skirt for a more secure fit. Machine washable up to 40°C, it makes caring for your mattress a breeze! Use this Luxury Quilted Microfibre Mattress Protector to preserve the freshness, cleanliness and lifespan of your mattress. Invest in a more hygienic night's sleep today!